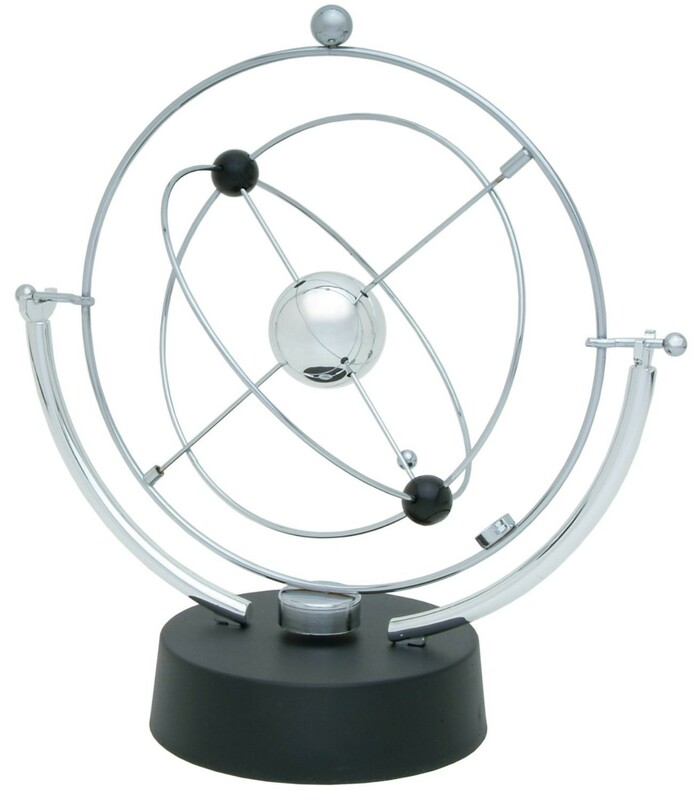 Master Box Dimension : 19" X 16" X 16"
The Revolving Cosmos Perpetual Motion Desktop Toy is perfect for your outer space themed office or room decor. A simple spin of the top of the base sets the galaxy in motion. The multicolored rings start spinning in different orbits around the planet in the center. A top seller in the space museum stores and a cool gift for the science physics enthusiast.